Following clues left behind on Tommy's computer, determined to find her brother and bring him home safely, Jessica and two of her friends are about to embark on a journey that will test their spirits and their courage to the breaking point, as they must leave their own world behind and confront the source of Earth's darkest legends as well as the terrifying truth of their own secret heritage. Dreamwalker by C.S. Friedman is the author’s first foray into Young Adult fiction, and as someone who has enjoyed much of her writing, this was a book that I was eager to read. 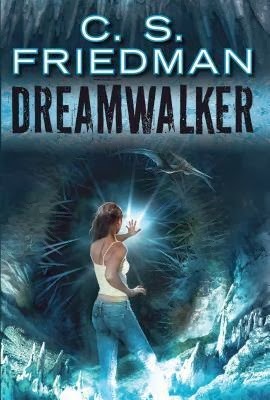 Friedman is adept at spinning many plates when it comes to a complex plot and equally nuanced characters, and while Dreamwalker is not set on an alien world, there is plenty to balance. The book’s protagonist is a sixteen year-old girl named Jessica Drake. 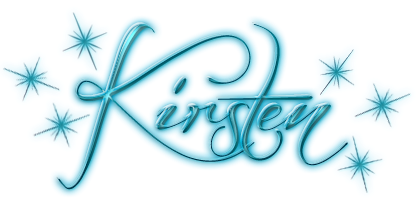 Years prior to the story’s first pages, her father abandoned his family, her mother works as much as she can in order to provide for her children, and Jesse’s younger brother Tommy spends most of his time playing World of Warcraft and other video games. For Jesse, art is her outlet and much of her artwork is inspired by her vivid dreams. When a woman asks if she can buy some of Jesse’s art, it seems like a great deal, but the stranger gives Jesse a bad feeling and she’s also paying far too much attention to Tommy, as well as the house. On top of these concerns, Jesse’s estranged father is claiming that she is not his daughter. As it turns out, when Jesse investigates, she learns that she doesn’t share genetic material with either parent. Being a so-called ‘DNA orphan’ is, to say the least, unsettling, but Jesse finds other teenagers like herself, and in their search, they learn that the stranger interested in Jesse’s art is also connected to the DNA orphans. Just when it seems that they’ve begun to figure things out, Jesse’s house catches fire and her little brother goes missing. The search for Tommy takes Jesse and her friends to a world parallel to this one called ‘Virginia Prime.’ This parallel world is the home to creatures that are closer to elves or the fey than with humans. This is clearly a variation on the myth of a changeling child, where a human baby is stolen by fairies, and replaced with one of their own. The inhabitants of Virginia Prime are never explicitly identified as faeries, but their appearance and actions makes the parallel unmistakable. This book is not one that coddles readers. Instead, it relies on them thinking, making inferences and gathering evidence. In other words, the reader has to think about what’s going on, which makes the mystery more engaging. Of note is the fact that the story doesn’t spend time allowing characters to question what’s going on. Events may be strange and seemingly unlikely, but once they’ve reconciled what’s going on, Jesse actively tries to solve her problems and find her little brother. The one place where the story could be strengthened would be in widening the scope of the narrative. As this is a story about Jesse’s search for her brother, it’s understandable that her concerns, and that of the plot were focused largely on that goal. However, if the story of Jesse and her friends has further to go, then hopefully the world and the broader implications of Dreamwalker will be expanded upon in any sequels.